Marvel today announced a new Spider-Man project titled Spider-Man: Life Story. Spider-Man: Life Story is a new miniseries from writer Chip Zdarsky (Peter Parker Spectacular Spider-Man, Marvel 2-In-One) and artist Mark Bagley (Amazing Spider-Man, Ultimate Spider-Man). The series will reimagine what Spider-Man’s life would be like if he aged in real time from the moment he was first introduced into the Marvel Universe in 1962. Each issue will be set against major moments from a different decade. 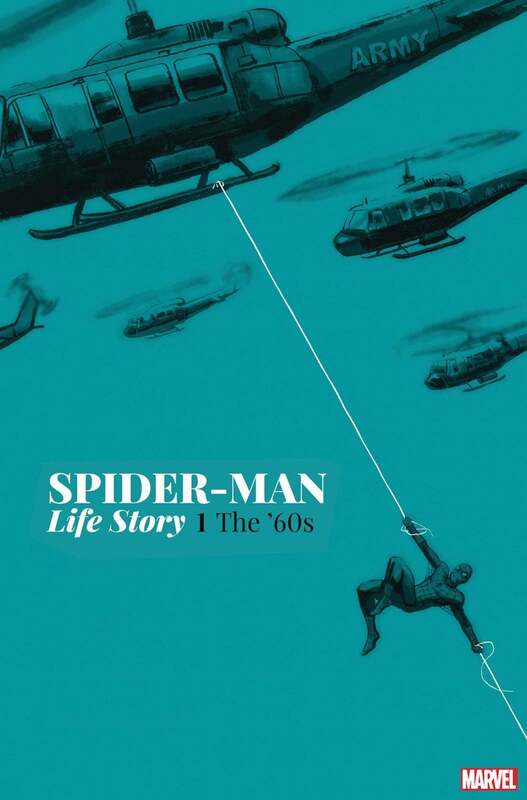 Releasing in March, Spider-Man: Life Story #1 will take place in 1966 with Peter Parker determining how he should use his powers as the nation is increasingly torn apart by the Vietnam War. Zdarsky is coming in hot after writing a critically-lauded run on Peter Parker: The Spectacular Spider-Man. Bagley will be known to Spider-Man fans for his record-breaking run on Ultimate Spider-Man. The Spider-Man: Life Story announcement comes during a peak in interest in Spider-Man. Tom Holland debut in as Peter Parker in the Marvel Cinematic Universe in Captain America: Civil War, followed by his first headlining film, Spider-Man: Homecoming, and his part in Avengers: Infinity War has been exceptionally well received by fans who are now eager to see the trailer for the Homecoming sequel, Spider-Man: Far From Home. The Marvel’s Spider-Man video game is breaking sales records and receiving nearly universal praise, introducing Spider-Man’s lore to fans in a whole new way. Now the animated film Spider-Man: Into the Spider-Verse is being talked about as an Academy Award frontrunner. The film will introduce fans to Miles Morales and several other extended Spider-Man family characters. Are you excited about Spider-Man: Life Story? Which decade are you most interested in revisiting from Spider-Man’s perspective? Let us know what you think in the comments! Spider-Man: Life Story #1 goes on sale in March.